Serving: San Clemente, Telega, Aliso Viejo, Mission Viejo, San Juan Capistrano, Dana Point, Laguna Beach, Newport Beach, Newport Coast, Irvine, Ladera Ranch, Coto de Caza, Rancho Santa Margarita and other South Orange County Communities. Please call us for areas not listed. 949.264.3411. Hello! My name is Robert Lockheimer and I am the Founder of Baby Safe Home, Inc. and Baby Safe Homes Franchise Corporation. I grew up near Los Angeles, CA and enjoyed building custom cars and working as an aircraft machinist through high school which helped to develop my mechanical skills and attention to detail. After moving to San Diego and earning a Marketing Degree from San Diego State University, I held several outside sales and management positions before being recruited as a sales trainer for a Fortune 25 company. As much as I enjoyed my work, I always wanted a business I could call my own. I met my wife Kim soon after graduating college and we have now been married for eighteen years. We are the proud parents of four young boys ages, six, nine, thirteen & fifteen, AND our newest arrival — a daughter — born in January, 2013! Our mission to create safer environments for children was embarked upon following the birth of our first son, Erik. My frustration with inferior store bought products and concern for the safety of my first born son began my passion for child safety and the beginning of Baby Safe Home. Over the past fifteen years, we have perfected our skills and revolutionized our services to now be the leading child safety company. We continue to offer our premier services throughout southern California and beyond through the expansion of our franchise locations. 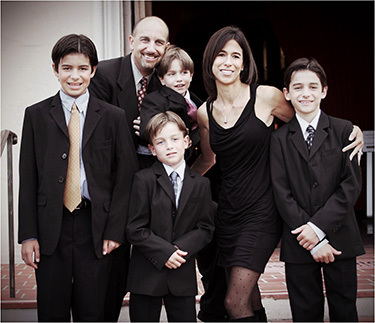 We are referred by many pediatric offices throughout South Orange County including Dr. Sears, Hoag Hospital, South Orange County Pediatrics as well as over 100 Pediatricians, Scripps Clinic and Rady Childrens’ Hospital in San Diego. 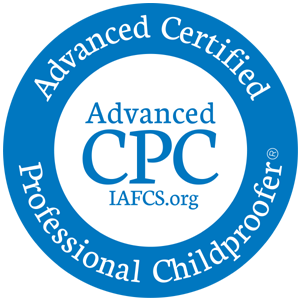 I am also a baby safety trainer for the International Association for Child Safety and Family Safety Association. We are licensed contractors (lic 805077) and are bonded and insured. Join thousands of other families and trust the safety of your home, baby and peace of mind to Baby Safe Homes. Baby Proofing: San Clemente, Telega, Aliso Viejo, Mission Viejo, San Juan Capistrano, Dana Point, Laguna Beach, Newport Beach, Newport Coast, Irvine, Ladera Ranch, Coto de Caza, Rancho Santa Margarita and other South Orange County Communities. Baby Safe Homes was an absolute pleasure to work with. I felt so overwhelmed by the process of baby proofing I procrastinated until my 8 month old was on the go. Within a few short days of my initial call Baby Safe Homes came out, gave me the guidance I needed, and proofed my entire house with top of the line products all within a 2 1/2 hour period. I would have made such a mess of the job had I done it myself I think I actually saved money in the long run. I can actually get more done now without constantly stopping to chase my son! Many people put-off baby proofing because they do not have the time- there is absolutely no excuse for that. I have taken care of patients who have their babies fall down stairs, choke on door stoppers, and pull down furniture onto themselves. This can be prevented. And the service is very affordable- the only additional cost versus doing it yopurself is the labor cost (the cost of all products is the same as buying them at the store). It would have cost me more to repair all the damage I would have done to my cabinets and walls!